I am a converted snowshoe believer. The Flex Alp is Tubbs backcountry workhorse. Meant for steep trails, alpine excursions, and traversing every type of snow condition, they excel on difficult, strenuous trails that demand fast and light movement. Strapping in is a breeze. I used a standard GoreTex hiking boot and pulled the elastic straps snugly, ensuring a tight, secure fit. Taking the first few steps always feels a bit awkward, so I adjusted my stance to walk slightly wider. There was very little crossover and I felt assured that I wasn’t going to trip over myself by stepping one shoe over the other. The Flex Alp doesn’t feel fat, although it performs exceptionally in slushy conditions. The thin tapered shape gives it a high-performance athletic feel, and after the first quarter mile on the trail, I felt like I could keep up as well as anyone who was wearing MicroSpikes or YakTrax. Yes they were a bit noisy on the ice and gravel, but that was to be expected. As we hiked towards the Big Four Ice Caves, the crunching against the ice was turning heads. “I wish I had one of those!”, exclaimed one woman, “That guy knows what’s up!” said another man as they stepped precariously down the path. The serrated bottom grips tightly to even the iciest conditions, and a tight weave in the underfoot promotes rapid forward movement. Walking feels less cumbersome and more like smoothly gliding like a pair of touring skis. 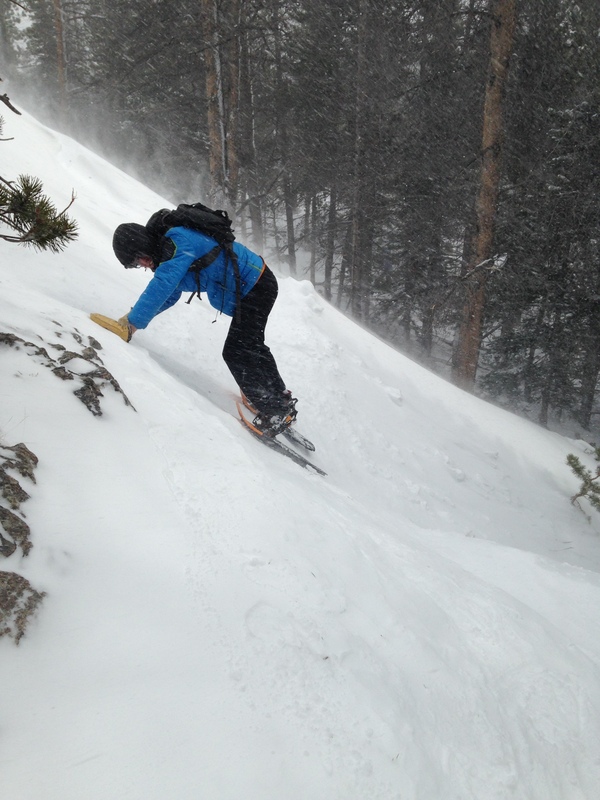 For extra steep terrain, a small heel bar gives an extra few inches of lift, hence reducing less stress on the calves. As I started to fall behind my group, I wanted to find out if they were runnable. 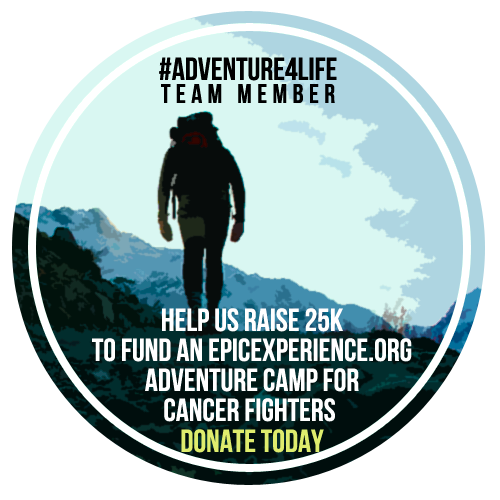 I picked up the pace and started to push forward and found at short bursts it was easy to move quickly, which is perfect for escaping particularly tricky backcountry situations. 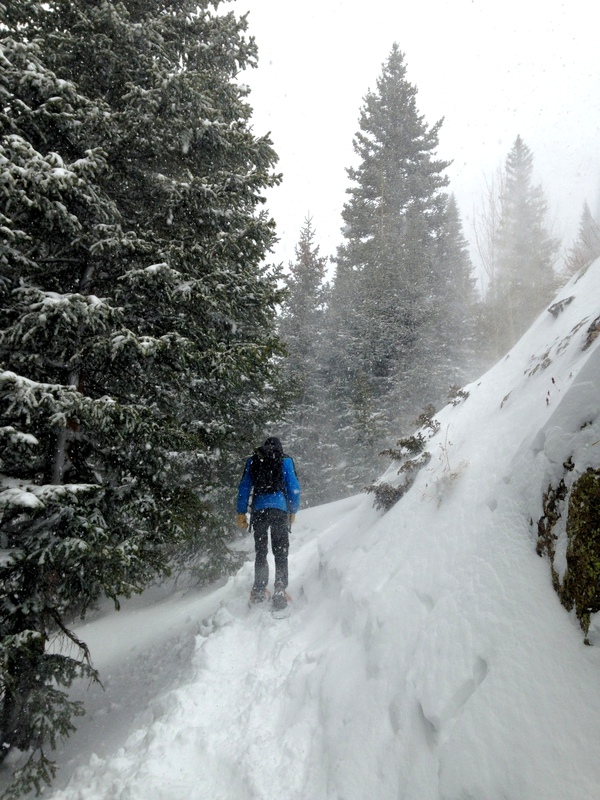 I took the snowshoes on a brief trip in Colorado and while they performed excellently on powder, where they really did well was on a steep traverse where the trail had broken in half. We crossed frozen lakes and shin-deep snow with effortless glide. The only section where the snowshoes slipped was on a short downhill powdery slope where I took a half ski descent down the side. Looking back, it seems that was the only skiing that I’ve done this year so far. Performance-wise, the Tubbs Flex Alps’ were excellent. The only minor criticism I had was I felt it was really difficult to adjust the straps while wearing large gloves. When I had to loosen or tighten the straps the tabs around the toe were small and hard to grip so I had to uncomfortably take off my gloves in icy conditions. Despite this little issue, I thoroughly enjoyed my time with the Tubbs Flex Alps and I’m convinced to purchase a pair of my own. 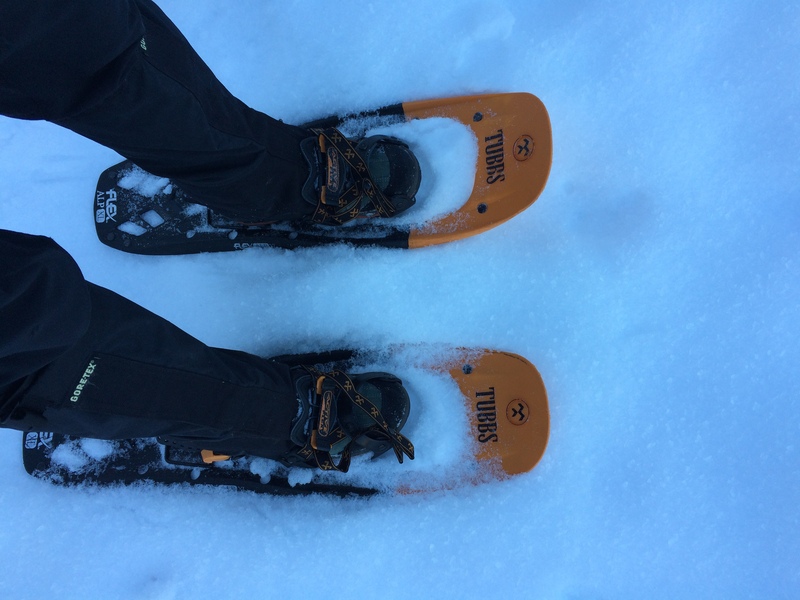 If you plan on taking on steep, difficult alpine trails, these are the only pair of snowshoes that you need. I can attest they are awesome. Thanks! I got to use them early season but there’s still a little snow up north. Hoping next year is better! I’m a new believer in snowshoes as well. The Hikerchat outing after the OR Show really showed what quality snowshoes are like (Tubbs as well, coincidentally). Yep. Tubbs really impressed me. They go anywhere and do all.